We were quietly enjoying our dinner on a relaxed evening in our vacation. Suddenly, we were rudely disturbed by rumble and clatter from across the valley. For our eyes developed a rock slide. Just as sudden as it started it was already over. Perplexed, we were too slow to capture the event and put it on social media. Afterwards, I took some pictures of the rubble. 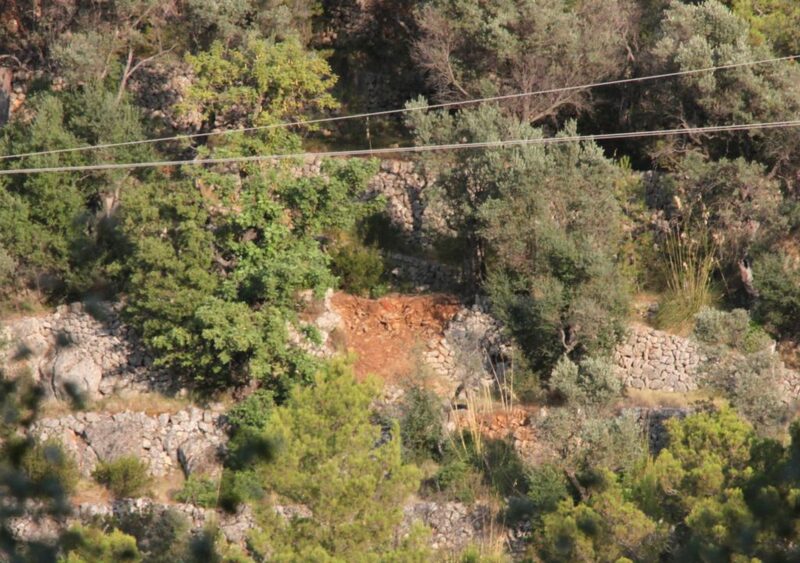 As you can see, it was not even a proper rock slide, more the collapse of a retaining wall. Come to think about it, it was not the first collapse I witnessed. Back in 2006, I was visiting our DOP dredge at Roanoke on Long Island, NY in the USA. I had to do some measurements and general inspection. I was below decks connecting the data recorder to the drive system and had to check something with the dredge master. Just when I climbed on deck, he yelled at me to hold on. Immediately a torrent of water and sand was flung horizontally over the dredge. Some stones cracked a window in the control cabin. Within seconds a tsunami lifted the dredge for about a meter and we kept rocking until the reflecting waves in the pit eventually subsided. 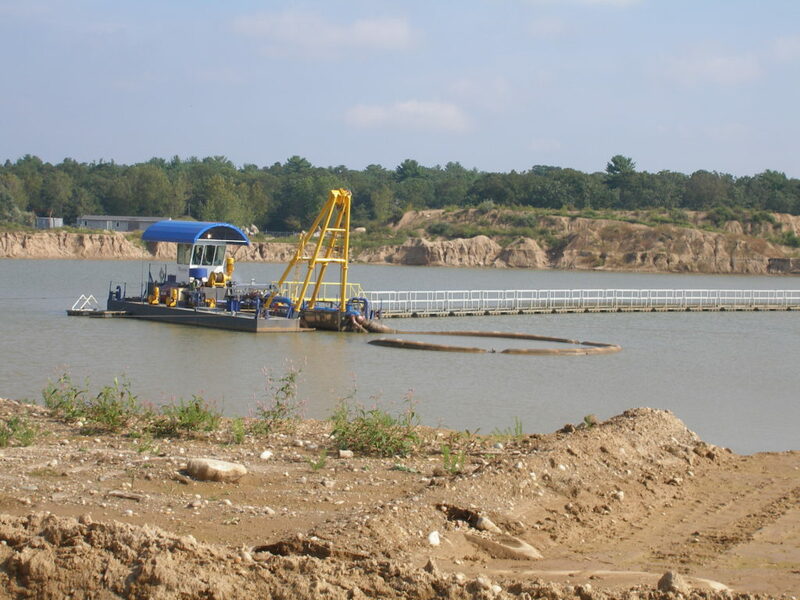 DOP Dredge Roanoke with pit bank in the foreground, before it collapsed. Older bank collapses in the background. That was one big bank collapse to me. 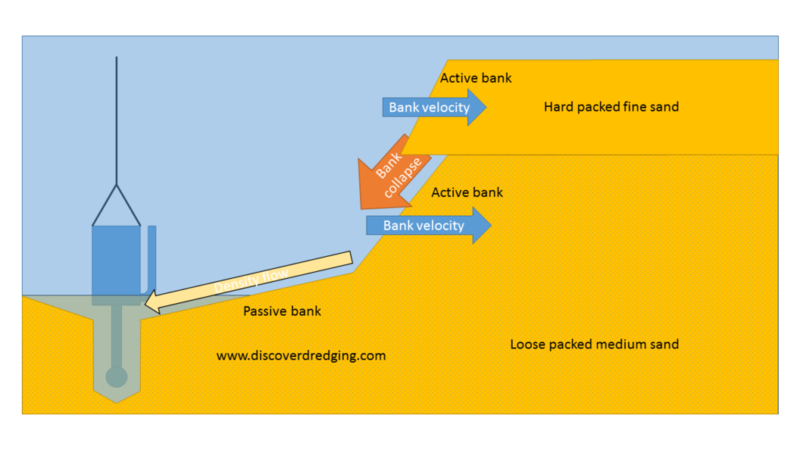 A bank collapse is a known, although undesirable phenomenon in dredging1. It is a result of dredging methods, relying on the development of an active bank to produce a heavy slurry, that is sucked up. However, the sediment does not consist of a uniform block of sand. Usually, the sediment is deposited in different layers, each with their own geo technical properties. These result in varying propagation velocities of the active banks. When a ‘faster’ sand is under a ‘slower’ sand, the upper layer is not supported anymore and collapses. As the bank slumps down, it displaces an enormous volume of water and this often causes a tidal wave of its own. At Roanoke, the effects were aggravated by the fact, that the upper bank ran all the way to above water level. 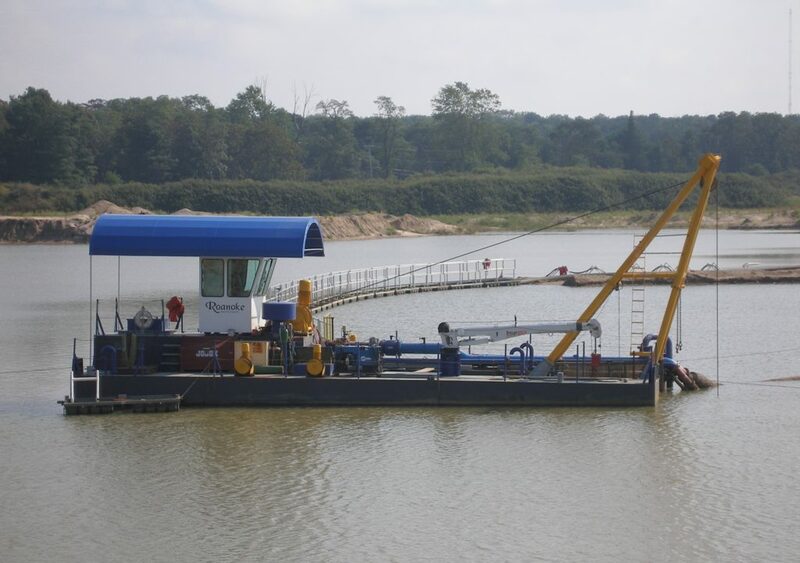 As this bank collapse can be expected when dredging with active banks and different sand layers, dredging companies are very keen on predicting these nasty consequences. Not only for the safe working condition of the crew, but also to prevent material damage and eventually for a stable and reliable delivered profile. Exactly this is what is being investigated by dr. Askarinejad in the Laboratory of Geo-Engineering at the Technical University Delft2. He has a beautiful rig, where exactly those conditions can be simulated and measured. With a neat trick he tips the whole test facility to form an instable bank. This makes the bank collapse on demand3. 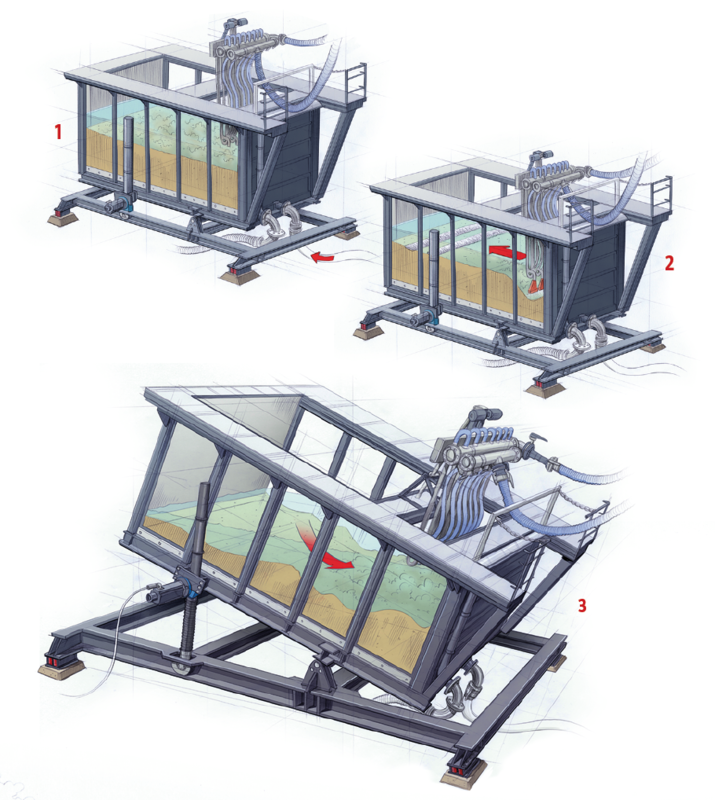 Basically, this is exactly what we can demonstrate with the ‘breaching exhibit ‘ in our dredging experience4. Of course you are welcome to come over. 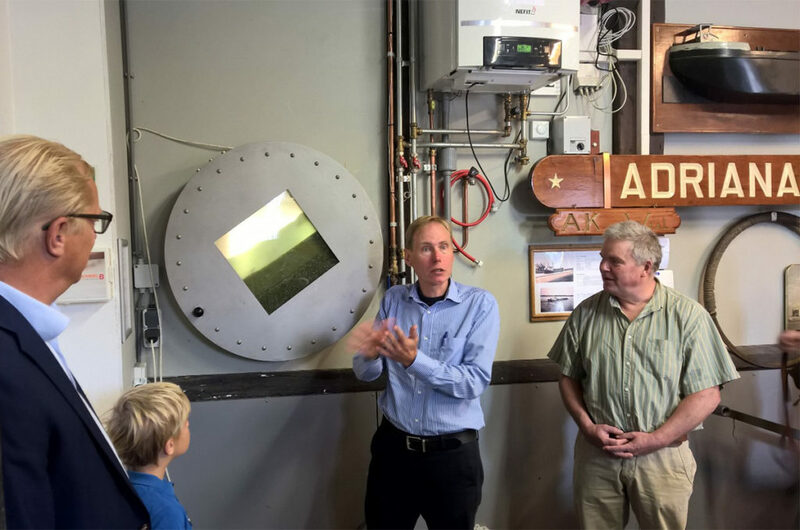 For those who are not in the circumstance to visit us, you can also visit the National Dredging Museum as they now have a breaching exhibit of their own5. Loose sand, how hard can it be?